If you read my Battle of the Advent Calendars post you'll be aware of the vast festive offerings available this year. 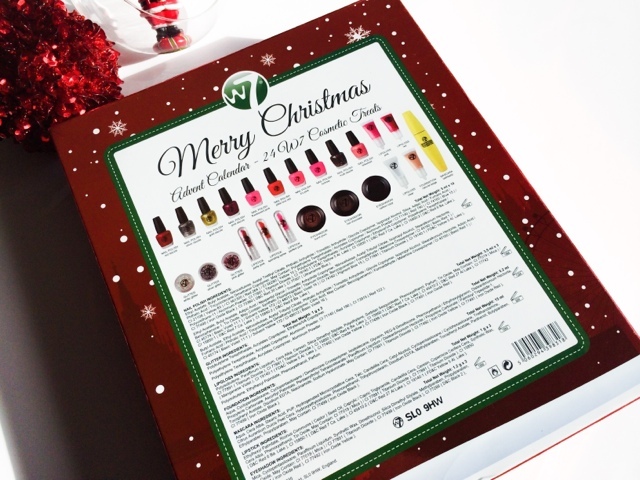 There are no less than 15 beauty advent calendars all ready to hit the market, with some already available, like this one from W7. Some are priced well out of my league with the most expensive being a whopping £250.00! I'm sure I'm not the only one giving that a miss! So if you haven't got £250.00 for a advent calendar but still want some beauty treats this one will be of great interest to you. It's the cheapest out of the bunch where make up is concerned and no less as exciting. 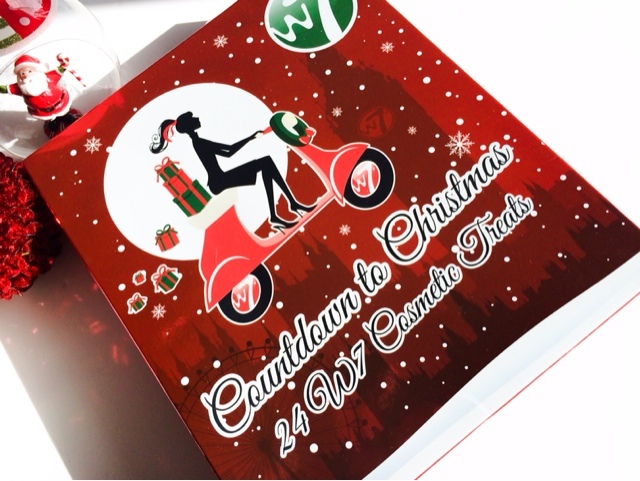 The contents is a make up lovers dream with Lipstick, Eye shadow, Nail Polish and even Mascara, all packaged in a fold out traditional advent style where behind every door is a festive treat waiting for you. If you would like a sneak peek stay tuned, if not - look away now and forever hold your peace. Amen..
Full contents as follows ..
Nail polish in Red Dazzel, Silver Dazzel, Gold Dazzel, Pink Dazzel, Florescent Pink, Pillar Box Red, It's Pink, Fuchsia, Mutli Dazzel and Tinerbell. Glitter in White, Silver and Pink. Lipsticks in Party Pink, Spending Spree and Perfect Pink. And full size Lashtastic Mascara. So there you have it, the full contents of the W7 Advent Calendar. If you've got this far to see what's inside, what do you think to it? Looks like a lovely beauty advent calender! 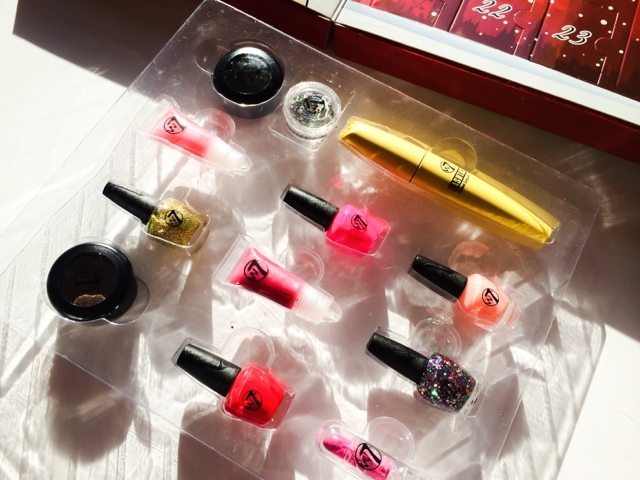 Love the nail polish shades! I hate how these aren't available in Asia.